Chennai Corporation Career Recruitment 2017-2018, 36 Field Supervisor, Lab Technician Posts Application Form Get Official Site. Chennai Corporation pattern of examination, Chennai Corporation Syllabus, Chennai Corporation Question Paper, Chennai Corporation Walk in Date, Time, Venue Chennai Corporation Result Date Scroll Down. Chennai Corporation Walk-in 36 Field Supervisor Posts – Apply Now. Lab Technician-Intermediate (10+2) and Diploma or Certified Course in Medical Laboratory Technology & Preferential Qualification: 1). One year experience in RNTCP or Sputum Smear Microscopy, 2). Candidate with Higher Qualification. 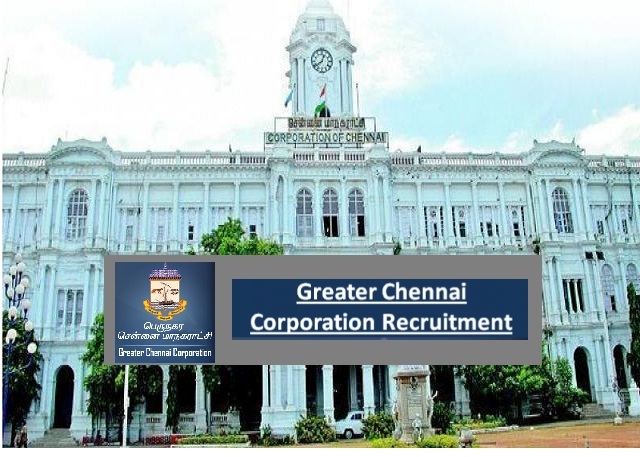 Eligible Candidates advised to Download and read Chennai Corporation Job notification to get aware of recruitment schedule and venue from official website www.chennaicorporation.gov.in.